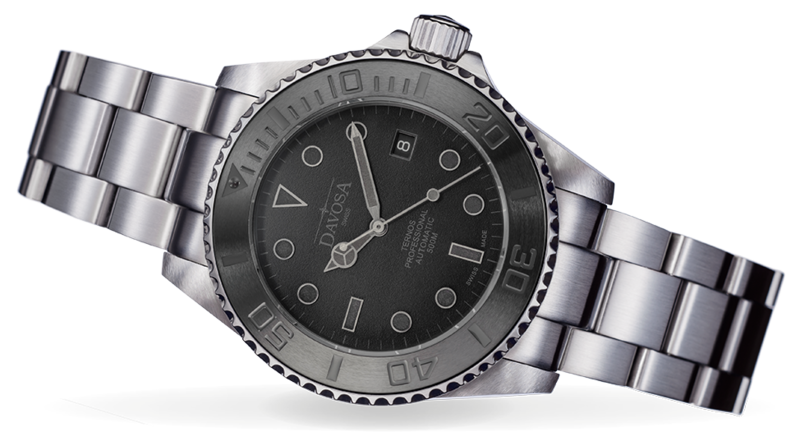 The design, quality and functionality of the DAVOSA Ternos Professional divers’ watch have produced a large following of fans in the shortest time. What more can we offer? How about a design version in a strictly limited, 500-piece edition? The hallmark of the Black Suit is its black-on-black design, flat sapphire crystal and carbon-look back.